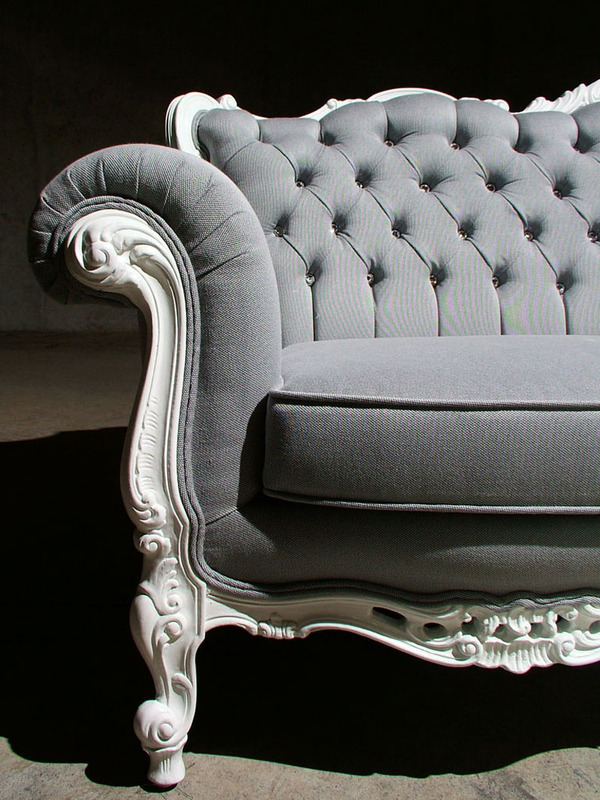 Meticulously hand-crafted antique sofa with dozens of oversized Swarovski crystals. Oh man, I really enjoyed doing this one. 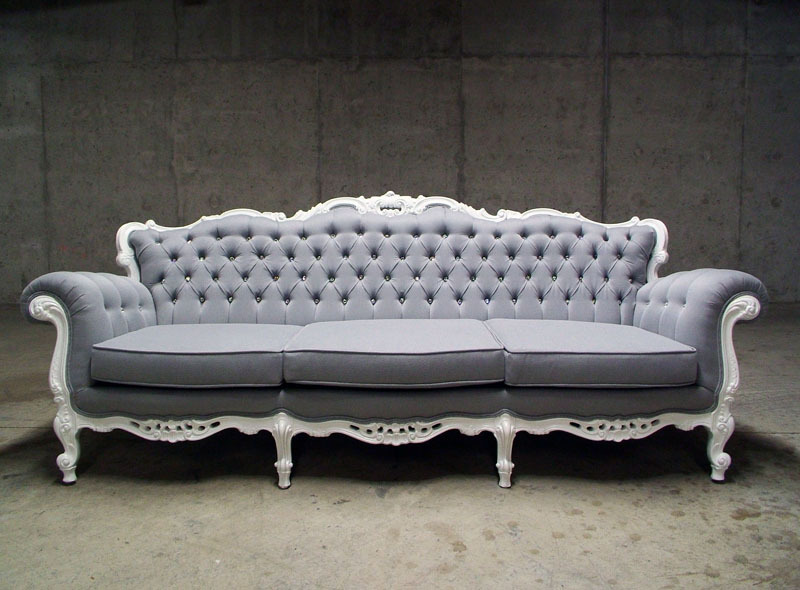 I wanted to do something over the top, with quality and opulence in mind. 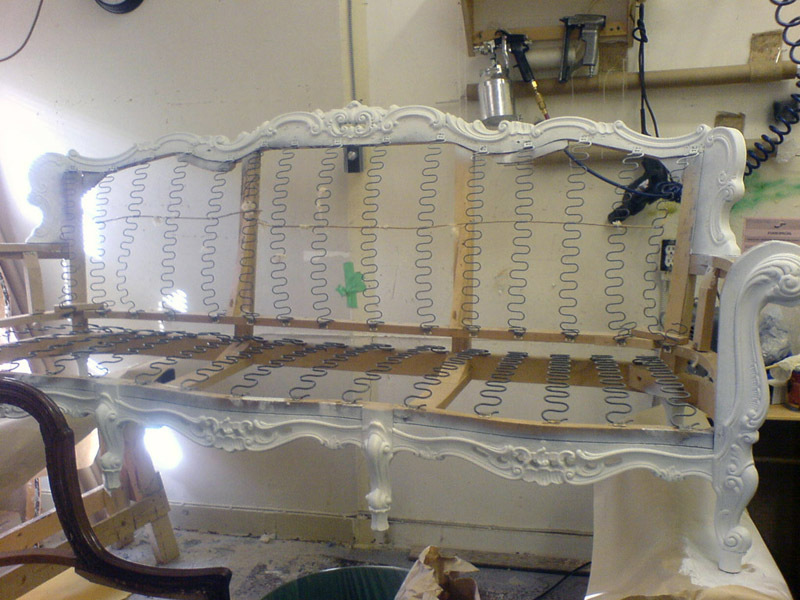 I searched for an antique with the basic ornate frame qualities, and gave it an update with a high-gloss white finish. 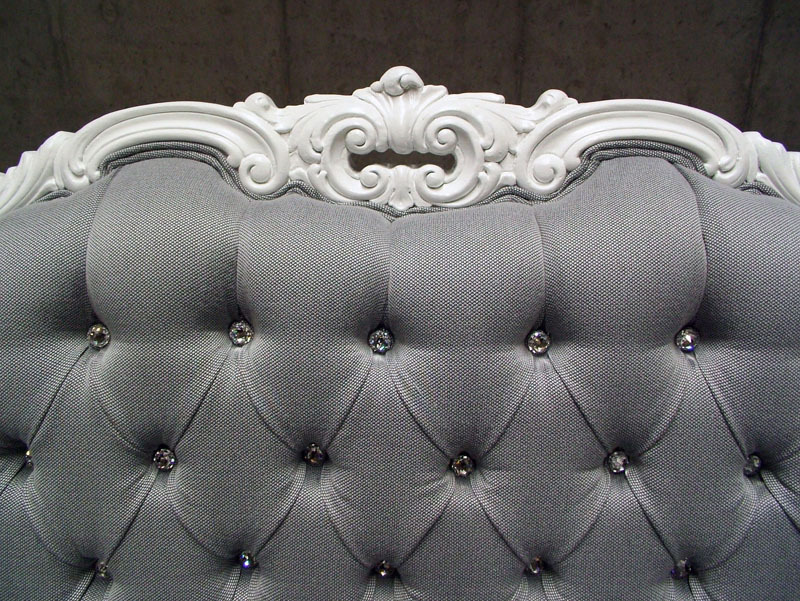 Swarovski crystals were mounted on button backs, bordered by the sofa fabric. 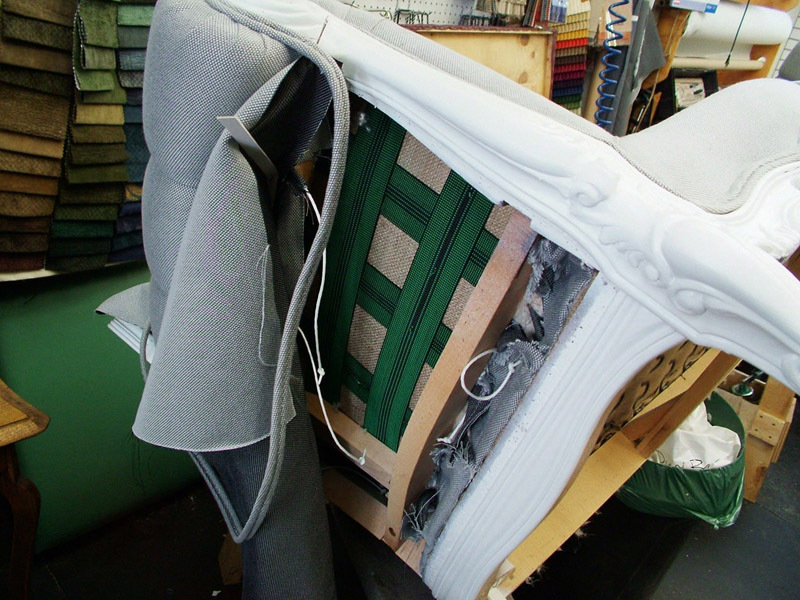 The fabric chosen was a grey with a slight sheen and fine black crosshatch. It has a beautiful hand and good durability. The tailoring is meticulous — a double row of piping where the fabric meets the frame hides an extra row of reinforcement. All the folds in the tufts and the curves fold the same direction and buttons are carefully placed after the fabric is folded first.